If you're ready to upgrade to a higher quality wine from California and explore what all of the artisanal buzz is about, this should be your first stop. These mostly red wines from the best small wineries typically retail in the $35-90 range but you pay a much lower price to have them delivered. Joining for yourself means variable shipment prices, but if you buy as a pre-paid gift subscription you'll know your price in advance. Hint: Buy yourself a pre-paid gift subscription instead of joining as an ongoing member. We spend a lot of time wine tasting in California and are personally familiar with many of the wineries shipped in Gold Medal's Platinum Series. They ship our favorites and must-try wines like Dilécta GSM from Paso Robles, Volker Eisele Cabernet Sauvignon from Napa, and Frank Family Petite Sirah from Napa to name a few. With such an amazing breadth of white wine being produced in California, we're sort of disappointed that all of the white wine in the Platinum series has been Chardonnay. We'd love to see some bold Rhone white selections from Paso Robles, some Sauvignon Blanc from Santa Barbara, and of course, surprise grapes. A Platinum Series membership costs $89.00 for 2 bottles of wine. Shipping costs extra and is $10.50 per shipment plus sales tax where applicable. The price per bottle, with shipping, ranges from $45.40 to $54.75 depending on how you configure your membership. We've been reviewing Gold Medal wine club for more than five years. Without a moment's hesitation we can say that they have the most consistently excellent wine club out there. They have an extraordinary expectation of wowing their customers—and their customers' lucky gift recipients. The Platinum Series by Gold Medal is one of their premium clubs (they have an ultra-premium Diamond Series, too) and at this price-point, Gold Medal continues to bring amazing quality wines at prices below winery retail. Being a member of a Gold Medal Wine Club is like being a member of every winery wine club in California. Gold Medal wine club members get very similar pricing to the winery's own wine club members (sometimes better). Of course you do miss out on those fun wine-club pick-up parties, but then again, you get the wine shipped right to your door and don't have to lug it home! Our latest shipment included the Sagebrush Annie's Cabernet Sauvingon from Santa Barbara County (retail price $60). Let's just say the last bottle of wine we tried from Sagebrush Annie's (an old-vine Merlot) knocked our socks off and this one was also excellent. The other gem in this shipment is one we're very familiar with. It comes from Dragonette Cellars, one of our most favorite wineries, and it's their 2012 Santa Rita Hills Pinot Noir (retail price $60). We tasted this at the Dragonette tasting room in Los Olivos a week before we received this bottle, and we already knew it's a great choice. The Platinum Series from Gold Medal comes with limited educational materials and a lot of content you'd get by looking up each winery's website. This is probably the biggest disappointment of this particular club from Gold Medal, BUT we promise the amazing wine makes up for this shortcoming. One of our favorite things about the Gold Medal wine club is how they really push hard on quality, but also on rewarding their loyal club members. Find a wine you love in this shipment? You can reorder two or more bottles at further discounted prices. If you're a four-bottle member you're rewarded with better discounts. And of course with either membership, the more you buy the more you save. At WineClubReviews.net we take an objective approach to our star ratings system. Our written reviews are very much subjective, based on our 5+ years of wine club review experience and our own ideas about what good wine and good value mean. The star ratings are based on 11 attributes that we feel define what a wine club should be. Here is how Platinum Series Wine Club stacks up on these traits. We've been drinking Gold Medal wine on a regular basis for five years now. If you're looking for a taste of smaller-production, family-owned wines from California, this is a terrific choice. The Platinum Series, because it has a smaller membership, can work with a broader range of interesting winemakers. This is a great way to turn up exciting gems at a price point we feel is a great range for those looking for enjoyable TGIF wines. This is an area where Gold Medal shines. 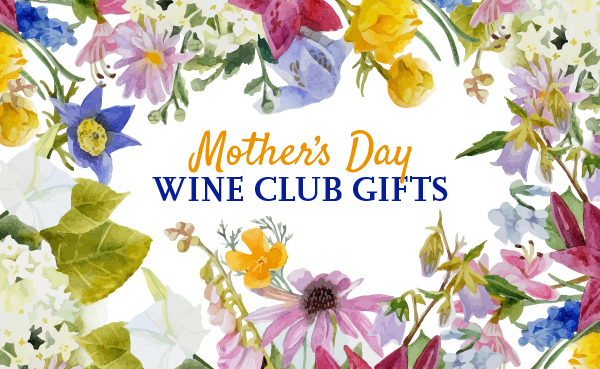 Your regular club shipments are up to 25% below winery retail (that's cheaper than what their wine club members usually pay) and they reward you for buying more. Get a 4-bottle shipment instead of 2 and save another 5%. Pre-pay and buy 6 shipments, you'll save another 5%—buy 12 shipments and you'll save another 10%! The Platinum Series wine club comes with a two-page brief on each wine included in the box. They discuss at length the winery and winemakers, and then a section covering all the essentials about the wine itself. The Platinum Series wine club is not especially unique as there are several other wine clubs on the market in the $40-50 / bottle range. The California-only wines is mostly unique, and the generous buy-more-save-more pricing for Gold Medal makes it the best deal for this type of wine club, though. A personalized wine club used to mean you picked the color of your wine and how often you received your two-bottle selection. For Gold Medal, it still does. You can choose all red or mostly red for the Platinum Series, and an additional personalization is the ability to upgrade to four bottles per shipment. If you're giving a gift, you choose anywhere from 1-12 months. This is a generous and super-awesome wine gift for the wine drinkers in your life. Don't just give someone a wine club, give them quality wine and feel good knowing you're getting it a low price.